At Piedmont Plastic Surgery, which serves the communities in and around Greenwood and Greenville, South Carolina, we realize that many people use the terms “plastic surgery” and “cosmetic surgery” interchangeably. Board Certified South Carolina Plastic Surgeon Dr. Ted Vaughn at Piedmont Plastic Surgery is exceedingly qualified to execute any of the aesthetic surgeries and treatments available at our Greenwood practice. But our staff does feel that it’s important for patients to understand the distinctions between a plastic surgery procedure and a cosmetic surgery procedure. Regardless of which type of aesthetic treatment you’re interested in, the first and best step to choosing a plastic surgeon is to book a consultation with Dr. Vaughn by contacting our Greenwood office online or by telephone: 864-223-0505. When you are healthy but feel that an elective aesthetic treatment can help you reach physical goals you’ve been unable to achieve with diet and exercise alone, you probably want to talk with Dr. Vaughn about cosmetic treatments or surgery. In general terms, all of these procedures and treatments are intended to improve the look of a particular part of the body but do not necessarily address systemic health issues. Cosmetic procedures are best-suited for patients who are in otherwise optimal health. At the other end of the spectrum are a variety of reconstructive plastic surgery procedures that are intended to address face and body anomalies caused by such circumstances as injury or trauma, burns, disease, or birth defects. In simplest terms, the goals of cosmetic surgery and plastic surgery are different. So each arena of procedures has different training demands and patient-care practices. Fortunately, Board Certified South Carolina Plastic Surgeon Dr. Vaughn at Piedmont Plastic Surgery in Greenwood has specialized training in both cosmetic surgery and reconstructive plastic surgery. He’s also one of the few surgeons in the state with additional training in hand surgery. 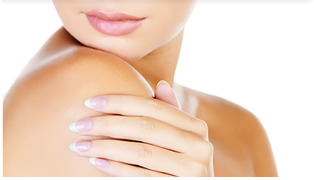 When you’re shopping for a plastic surgeon in South Carolina who is well-versed in both reconstructive procedures and aesthetic cosmetic procedures, you owe it to yourself to seek out one of the most qualified doctors in the field by booking a consultation with Dr. Vaughn at Piedmont Plastic Surgery in Greenwood: 864-223-0505.